Trump Tower Moscow: Just how close was it to happening? Just How Close Was Donald Trump to Putting His Name on a Tower in Moscow? 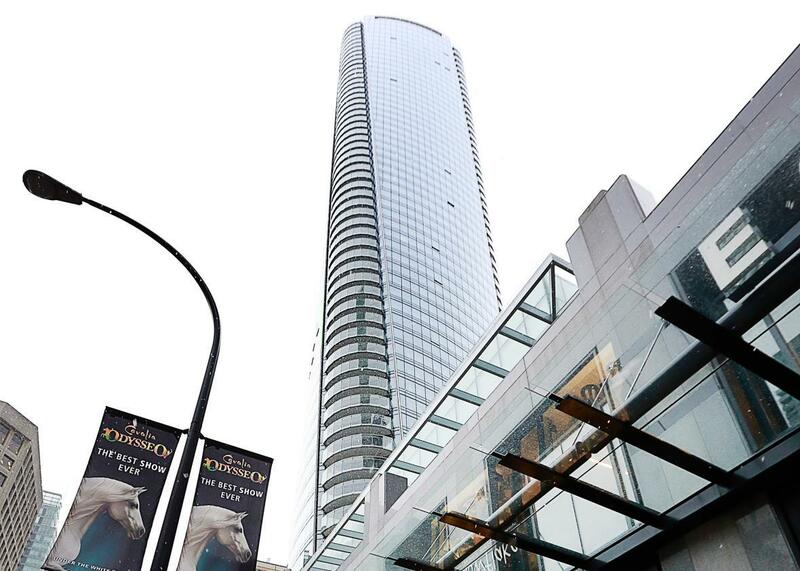 The Trump International Tower and Hotel on Feb. 28 in Vancouver, British Columbia. The tower was the Trump Organization’s first new international property since Donald Trump assumed the presidency. The New York Times published a juicy story this weekend about a meeting during the 2016 presidential campaign between Donald Trump Jr., Jared Kushner, Paul Manafort, and a lawyer, Natalia Veselnitskaya, connected to the Kremlin. The meeting was arranged under the pretense that Veselnitskaya had damaging information about Hillary Clinton. The man who arranged the meeting, according to the Times and the Washington Post, was Emin Agalarov, a Russian pop star and real estate mogul whose Kremlin-connected family had sponsored the Trump-owned Miss Universe pageant in Russia in 2013. After the pageant, the Agalarovs signed a preliminary deal with Trump to build a tower bearing his name in Moscow, though the deal has been on hold since Trump began running for president. Is this true? It’s impossible to know without the paperwork being made public. Trump wrote a barely coherent tweet after returning from the Miss Universe pageant back in 2013 telling the Agalarovs that, “TRUMP TOWER-MOSCOW is next”—but that, of course, wouldn’t be the first or last time that Trump tweeted something that he had no intention of following through on. The Trump Organization has been quick to downplay its interest in Russian expansion. Following the Forbes article this spring, a company spokeswoman issued a statement that read: “The Trump Organization does not [have], and has never had, any properties in Russia, and the press’ fascination with this narrative is both misleading and fabricated.” But obviously that statement is worded in a way that avoids addressing the actual question at hand, which is whether the Trump Organization ever had the intention to expand to Moscow. The company did not immediately respond to a request for comment from Slate on Monday. Given all that, even if the Trumps and the Agalarovs never came as close to actually breaking ground as Emin now claims, a partnership certainly seems plausible given their past dealings. In a world where Trump isn’t in the U.S. capital, his name might very well soon be on the side of a building in the Russian one. Know anything about a potential conflict of interest in the Trump administration? DM Josh Voorhees on Twitter or email him at josh.voorhees@slate.com.